We, the signatories to this petition, express serious concern that Student Hall rent at the University of Liverpool has risen to unjustifiably high levels - having some of the highest basic rents of any Russell Group university. The average rent in university-owned accommodation is now 110% of the average maintenance loan and students in halls are risking being pushed into serious financial hardship by the cost of their rent. We believe that the University has a moral obligation to make sure its students have access to quality, affordable accommodation. With the University making a £44million surplus in 2016/17 and holding close to half a billion in unrestricted reserves, we also reject any claim that high rents are essential to the University's financial health. 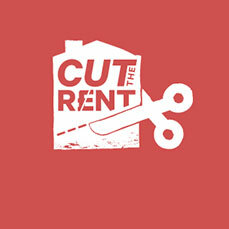 Make a real, lasting cut to the rent in University Accommodation. Establish a clear, transparent rent-setting process with maximum student representation. Introduce an accommodation strategy that puts impact on living standards and equality at its heart. Shelter says no-one's rent should be more than 35% of their income. The average student gets £139 per week in maintenance loan - but the average hall at Liverpool costs about £158. That's rent running to an incredible 110% of the average maintenance loan per week. No-one's home should cost them more than they earn. The University made an astounding £44million surplus in 2016/17, and added £76million to its net worth. With about 4,300 bedrooms in halls, that means the university's surplus is worth about £10,000 per bedroom (and the most expensive room will set back you back about £8,500). Just 10% of the university's mammoth surplus would pay for a £1,000 cut in the rent for every room in halls. Out of control rent is a huge issue in our society. Don't take our word for it, take a look at The Independent, The Telegraph, The Times, The Guardian - everybody's talking about it, and every major party raised it as a problem at the last general election. Students are being hit especially hard by this crisis. The University has the chance to be a national leader on this issue by setting an example to other landlords and making its rents affordable. Tell your friends and flatmates to visit this page and add their name to the petition, too, and share the link across your social media. Are you currently living in University Accommodation?